Does someone already work with Gimbal SDK with Xamarin? Nope, but thanks for the link. Ordering the promo beacons! Yes, I do - in iBeacon mode for now. I have tried trilateration with 3 SensorTag from Texas Instrument, on Android. And the result is that I can't have an acceptable signal strength accuracy. It seems that you have the same problem of Rssi unconsistency with Galcomm + Android. 1> Collect data. In my case I was trying to determine where in a building individuals were. I'd go to each room in the building, and collect RSSI from all viewable APs and wifi routers as I walked around the room. So each room in the building had a set of sample data. Needs to be done with doors open and closed. 2> I created a simple feed forward back propagation neural network. The inputs are the scaled RSSI values with an input assigned to each AP/Router. There is an output for each room in the building. In training a 1 is used for the room whose data is being trained and all other rooms are set to 0. 3> When actually using the network I would take 3 or 5 samples of RSSI values and then run each sample through the network. The room with the highest output value is picked as the location. You then do a "vote" between your samples. If 3 samples say you're in room A and 2 samples say room B, you're in room A. The system worked pretty well. 1> If anything in the environment changes the RSSI (moving APs/routers, new walls put up or walls taken down), then you have to recollect all your data. 2> If an AP or router goes down, you need to retrain the network without that AP/router. As always, training take some time, but actual execution was fast. Anyway, this is a possible approach. Hi Peter. What was your best accuracy? Could you tell if someone was in a specific part of a room? I wasn't trying for that. That might be doable, but you'd have to partition the room into multiple locations and then each location becomes an output in your network. The more accuracy you want, the more samples and "votes' you'll need. For example, if you're breaking a 20x20 room into a 5' squares, then you'd probably want to take 10-15 samples and get a vote. But I honestly don't know. We were specifically avoiding using GPS with our system, but if you added in GPS you could probably achieve greater accuracy. It's fairly straightforward to convert the Gimbal Objective-C SDK into C#. I used this guide https://developer.xamarin.com/guides/ios/advanced_topics/binding_objective-c/walkthrough/#Create_a_Xamarin.iOS_Binding_Project and was able to skip any of the preparation in xcode since Gimbal already provides a framework (.a file) for the SDK. Make sure to ignore any code error highlighting in the binding project, as of now it will give you erroneous error highlights once you've created the ApiDefinition.cs file. Have you managed to make it work using Gimbal native mode? or Eddystone? 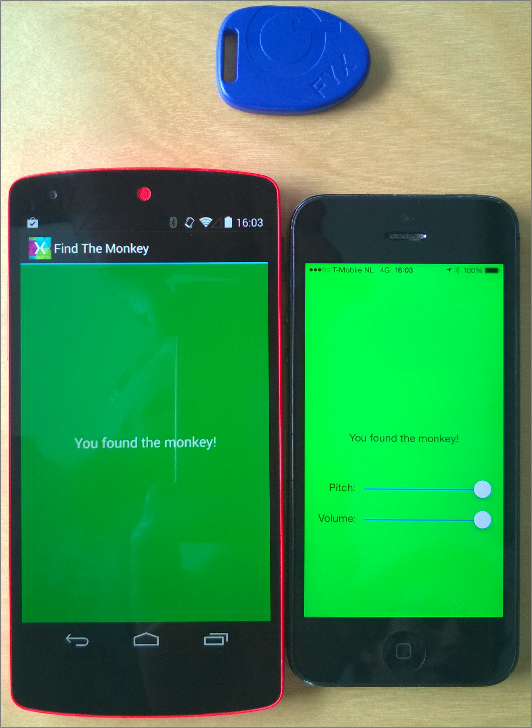 Has anyone had success using Gimbal Xamarin SDK with newer Gimbal beacons? Gimbal site states must use newer SDK's but this repo appears to be based on older Gimbal SDK (v2). Looking to switch away from Estimote and wanted to get some feedback before I purchased some Gimbal hardware and tried to use in my Xamarin app.